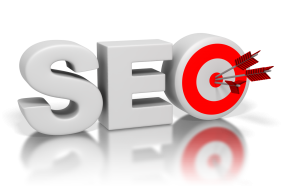 Systos Technology is a professional SEO Services provider in India and one of the Best SEO Company in Indore. Internet Marketing or SEO is a form of marketing and advertising which uses the Internet to deliver promotional marketing messages to consumers. It includes email marketing, search engine marketing (SEM), social media marketing (SMO). Internet marketing, or online marketing, refers to advertising and marketing efforts that use the Web and email to drive direct sales via electronic commerce, in addition to sales leads from Web sites or emails. Internet marketing and online advertising efforts are typically used in conjunction with traditional types of advertising like radio, television, newspapers and magazines. Web marketing includes e-commerce Web sites, affiliate marketing Web sites, promotional or informative Web sites, online advertising on search engines, and organic search engine results via search engine optimization (SEO). Email marketing involves both advertising and promotional marketing efforts via e-mail messages to current and prospective customers. Social media marketing involves both advertising and marketing efforts via social networking sites like Google+, Facebook, Twitter, LinkedIn, pinterest and YouTube. © 2016 Systos Technology. All Rights Reserved.